Be it an office, home or a social gathering, you may come across two kinds of people, assertive and aggressive. While assertive people will seem to be calm and professional, aggressive people lose their temper and get frustrated in difficult situations. People admire assertive people as compared to aggressive ones. Aggressiveness can hurt people and make you appear as a rude person. While assertiveness helps you to make your point in a calm and respectful manner. Assertiveness is a quality, where an individual stands up for the right things; always keeps his dignity; maintains calm and patience, expresses his feelings, opinions, thoughts in an appropriate way without offending others. It can also be considered as a balance between passiveness and aggressiveness. At workplace, no one expects an employee to be quiet and show a passive behavior. The organizations want their employees to express their opinions, be vocal, be social with colleagues and customers and stand for the right things. But there is a thin line between being expressive and aggressive. One should be very careful while being vocal and not cross this line. Being assertive is not easy, especially if it is not your natural personality trait, but it is a skill that can be learnt and practiced. Assertiveness is directly linked to self-confidence. Once you gain your self-confidence, assertiveness will naturally become a part of you. 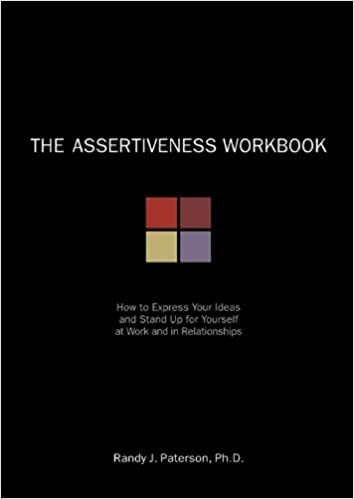 As mentioned earlier, assertiveness is a balance between passiveness and aggressiveness. You need to analyze your behavior and determine how you can strike a balance between the two. Some tips on how can you develop assertiveness at workplace. Value yourself: The first thing that needs to be done is valuing yourself. Unless you value yourself, people will not value you. You should have a belief that you deserve to be treated with dignity and respect by others and vice versa. Believe in your worth: You should always think yourself as an asset to the organization. Value your thoughts and opinions and do not hesitate to share it with others. Always remember that you are no less important than any other person in the organization and so are your views. Be expressive: Always express your negative as well as positive feelings with confidence. While expressing negative feelings, take care of not hurting anyone’s feelings. It is fine to express your anger, but do it respectfully. Never use foul words or shout at anyone. Prepare your speech: Prepare and rehearse yourself ahead of a meeting or discussions. Plan out, how are you going to start the conversation and handle the questions from the audience. Preparation will give you a confidence and help you to be assertive while communicating. Learn to say ‘No’: Another characteristic of assertiveness is learning to say ‘No’. At workplace, people may take undue advantage of people by assigning them unreasonable work. Sometimes you may be asked to do a work at which you are not comfortable. In such situations, it is very important to say ‘No’. Saying ‘No’ to wrong or unreasonable things is not offending. You should stand for your rights here. Also, saying ‘No’ is a way of having a control of workplace and relationships. Body Language: Body language communicate as much as words do. Always maintain a good and straight posture while communicating. Maintain an eye contact with the people while speaking. This will show up your confidence and assertive behavior. Show your presence: To be present at a meeting is not just a physical presence. Always try to be an active listener and be alert. If you have any doubts, don’t just keep it to yourself. Be fearless and ask for clarifications. Set your expectation: You need to set a limit for people around you, on their behavior. If you do not like people to interfere in your personal matter, let them know. Let them know your likes and dislikes, so that they may not cross their limit and compromise your dignity. I am retired. As my age increases, I have noticed some individuals try to bully older people. There are places of business I won’t use because of a “monumental stupidity”. Thanks for the pointers! No matter what my age, I still like to learn. Previous Post Do You Know Why the Salaries are Confidential?